UPDATE: Vojtěch Mozík has signed an Entry Level Contract with the New Jersey Devils. The Rangers have shown interest in 22-year old Vojtech Mozic, a defensive prospect playing in the Czech League. Photo courtesy of HC Skoda Plzen. According to IDNES.cz, a Czech newspaper, the New York Rangers have expressed interest in signing Vojtěch Mozík, a defensive prospect playing in the Czech League for HC Plzen. Last year he led the league in goals as a defenseman with 10 goals in 50 games, adding 19 assists as well. Mozík, 22, is 6-foot-2, 189 pounds, and a right-handed shot, and played 51 games in each of the last two seasons, with a total of 18 goals, 25 assists and 154 penalty minutes in those 102 games. 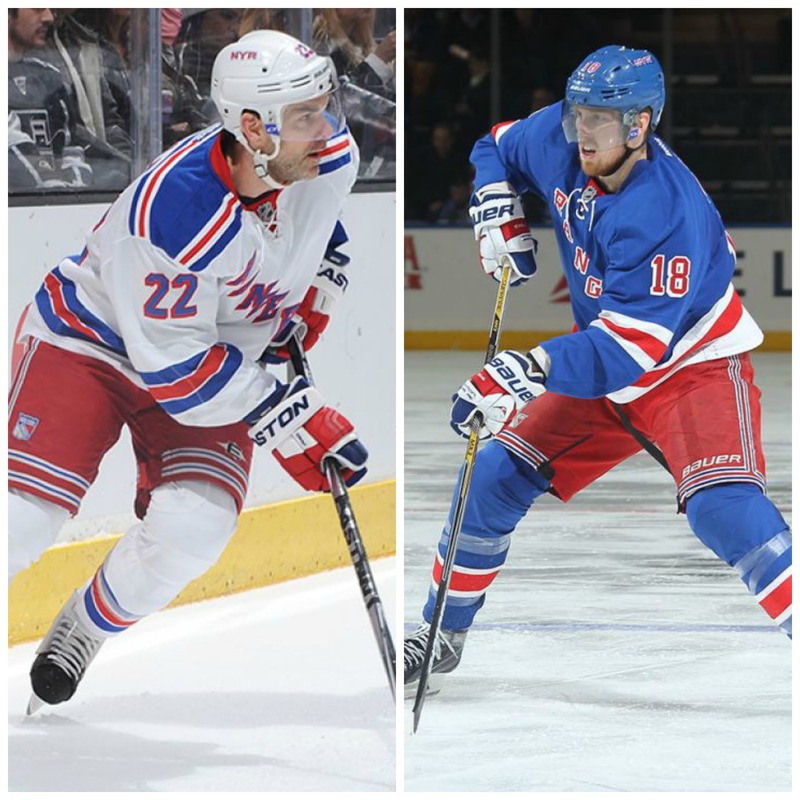 Marc Staal and Dan Boyle spent a majority of the season together on the second pairing, as polar opposite players. 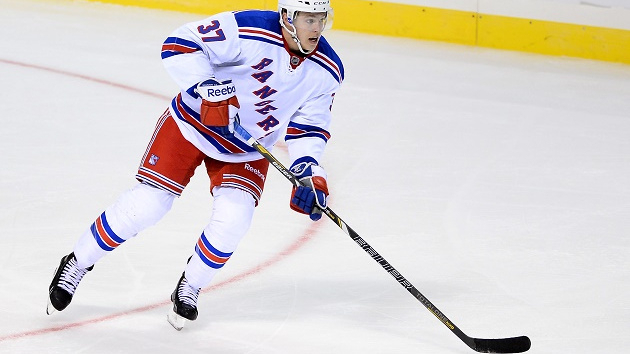 Boyle is the offensive specialist, and Staal is tasked as one of the shutdown defenders. Photos courtesy of Getty Images and MSG Photos. While Ryan and McDonagh and Dan Girardi are viewed as the top defenseman on the Rangers, it’s important to have other depth players to keep a team from being one dimensional. Fortunately, New York is host to plenty of solid defensemen. Marc Staal, a Ranger draft pick from 2005, and Dan Boyle, a veteran, offensive defenseman acquired in the offseason, made up the second pair for the majority of the season, with each player logging around or over 20 minutes a game. 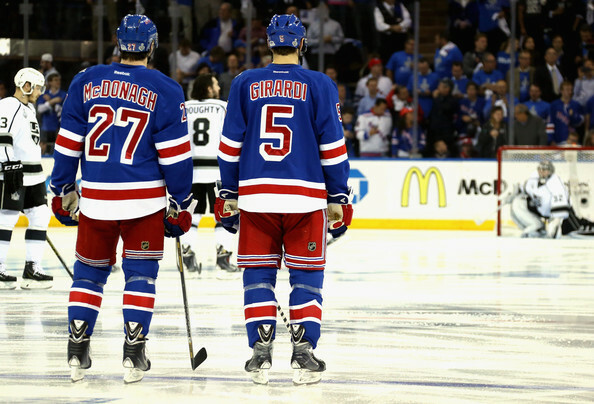 Dan Girardi and Ryan McDonagh have been the two top defensemen in New York for a few years now. It was another solid year for the duo, both dealing with adversity throughout the season. Photo courtesy of Bruce Bennet/Getty Images North America. For quite some time now, the Rangers have had a defense-first mentality, and have built their team from the net out. John Tortorella was a very defensively minded coach, focusing on blocking shots, playing physical, and creating plays from behind the net. Even with the hiring of Alain Vigneault, who brings a more up-tempo style of play to New York, he did not forget about defense. Instead, the Rangers now have a system where they create offense off of their defense, stopping plays first and then countering on the rush. That defensive focus came through at the trade deadline as well, when Glen Sather made a move to acquire Keith Yandle, an elite puck moving, offensive defenseman from the Arizona Coyotes, forfeiting top prospect Anthony Duclair, John Moore and two picks. That gave the Rangers one of the best defenses on paper, and that was their strength heading into the playoffs. When the Rangers (5-4-1) take the ice tonight at 7 PM against the St. Louis Blues (6-3-1), four of the defenseman in the starting lineup for New York will be guys that did not play when these two teams first faced off in the season opener. Recent callups Connor Allen and Dylan McIlrath will both be in the starting lineup tonight, following the injuries to Ryan McDonagh and Kevil Klein. Connor Allen will be making his season debut tonight against the Blues tonight, and could either play with Mike Kostka or Dylan McIlrath. Allen is a capable two-way defender who can move the puck and play solid defense. The two are not linemates in Hartford, but were teammates last season and roommates for training camp this year. As expected, Connor Allen and Dylan McIlrath have both been recalled from the Hartford Wolf Pack to replace the two free spots in the Rangers’ defensive pairings with the injured to Kevin Klein and captain Ryan McDonagh. 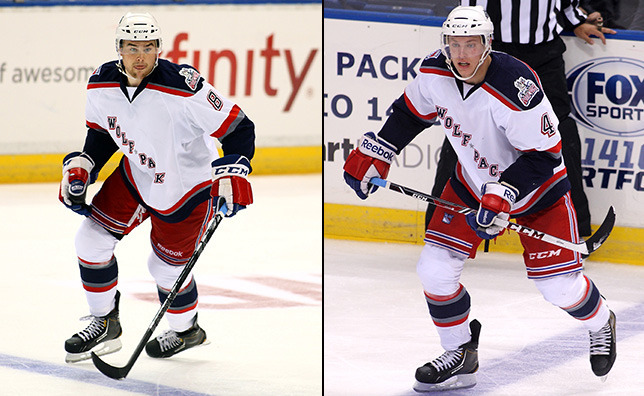 This is now the second straight season that Allen, 24, and McIlrath, 22, have been called up to play with the Rangers.